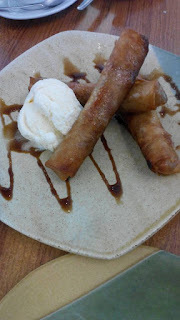 I live in Metro South and I was glad to discover an interesting haven of classic Filipino dishes. 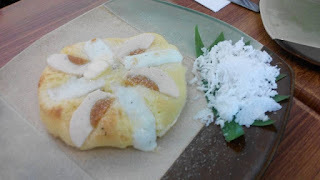 I was invited to dine over at Sérye and I was looking forward to another great find. Sérye has been getting rave reviews, and it is for a good reason. More than an actually a play on the letters of the family name, R-E-Y-E-S, the name “Sérye“ signifies succession in their bloodline's culinary roots. Sérye endeavors to carry on the family’s famed culinary tradition started by Engracia Cruz Reyes, founder of the Aristocrat restaurant. The Reyes family matriarch's open a store in the 1930s which has been considered as the first Filipino restaurant. Engracia had 11 children, of which one (Teresita Reyes) came to be well-known as "Mama Sita", the household brand for food mixes and condiments we all love. Our host and owner of Sérye, Alvin Reyes Lim, is a 5th generation foodie honed by generations of cooking and eating traditions. He started out working for his parent's Aristocrat franchise business and later on decided to put up his own in 2003. He patterned Sérye after the French Bistro Cafés he had come to love during his culinary school stint in France. He brought the bistro concept to Manila that offers the same experience but serving local cuisine. Now after Sérye's towering success, Alvin takes Sérye one notch higher by focusing on food and ambience. Other than a being a good eating joint for Filipino food, Alvin wanted to give Sérye a hip look that is perfect for entertaining, business discussions or simply hanging out. Hence, he commissioned Architect Noel Bernardo to do a modern rendition of an Illustrado's house that gives the place a more modern look yet maintaining the Filipino vibe. Along with other foodies, we got to enjoy the four of the most-loved dishes from the Reyes Family’s treasure trove of recipes. These were Classic Kare-Kare, Boneless Crispy Pata, Binagoongang Lechon Kawali, Bagnet and Pinakbet plus Laing Con Camaron Rebosado. 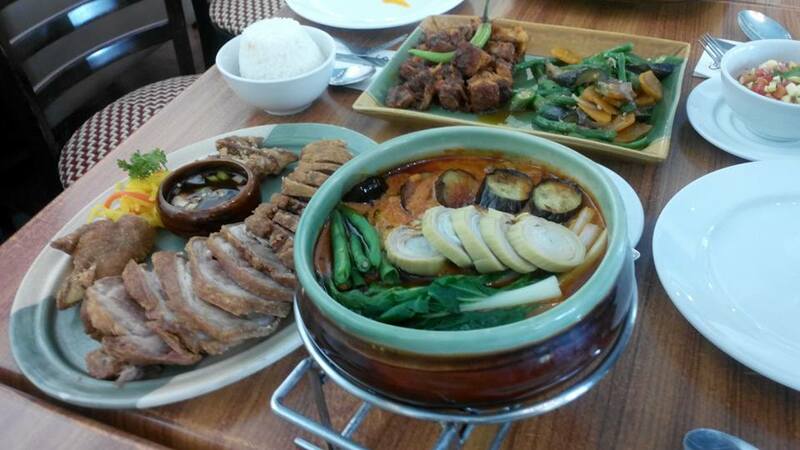 I missed eating Kare-Kare so when given the chance to go to restaurants where it is served, I always order it. I liked Sérye's take on this traditional dish of oxtail and tripe stew in peanut sauce! They make everything from scratch. 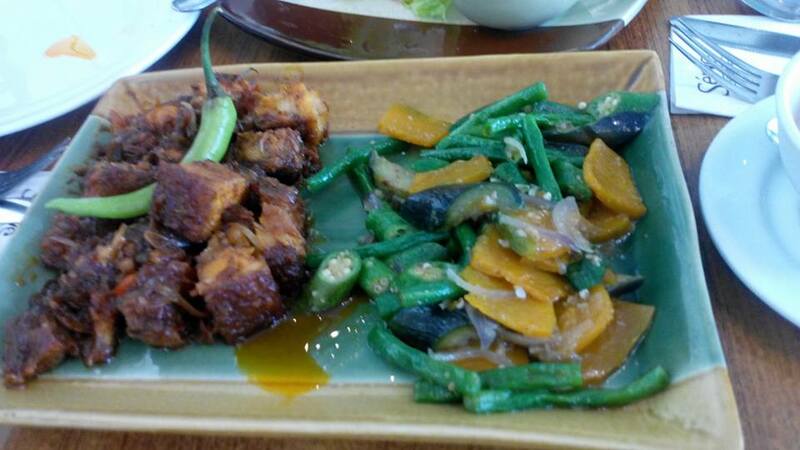 The tender meat stew goes well with their inhouse bagoong,which has the right mix of saltiness and sweetness. The crisp vegetables were serve on the side. I love their deconstructed Kare-Kare recipe so much that I almost finished Kare-Kare (P 475) all by myself! I took fancy on their Boneless Crispy Pata. 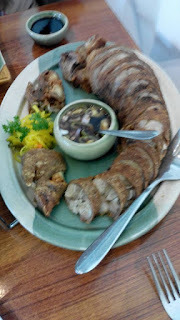 Deboned, it makes eating Crispy Pata easier and everyone gets a share of the crispy skin. Depending onsize of your group (or appetite), you may order it in small, medium or large servings. It comes with a soy-vinegar dip. 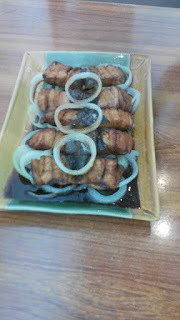 I find that they are particularly strong on meat dishes. The Binagoongang Lechon Kawali including Bagnet and Pinakbet had crispy pork cutlets that are tender and moist. Biting into meat cracklings was heavenly! It gives texture to the said dishes. The Laing Con Camaron Rebosado was deliciously prepared as well. It had a hint of spiciness that mixes well with the coconut milk. Atop the taro dish were prawn pieces. I superlove that the prawn remains deliciously moist under its crisp batter. 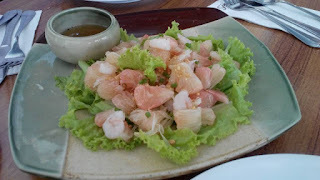 We were also served Pomelo Salad and the Bangus Belly Ala Bistek. 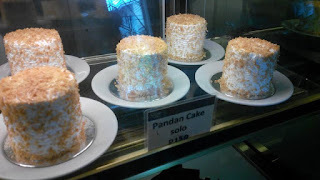 We had Macapuno Pandan Cake, Turon ala Mode and Classic Bibingka to cap off our lunch. I really enjoyed the Macapuno Pandan Cake treat because it had that real pandan flavor including generous amounts of dessicated coconut. My food adventure at Sérye was phenomenal! 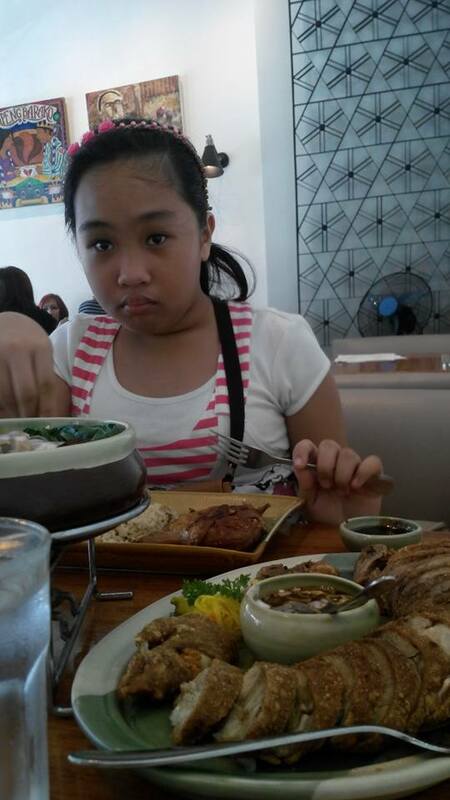 I love the food, service and the atmosphere! 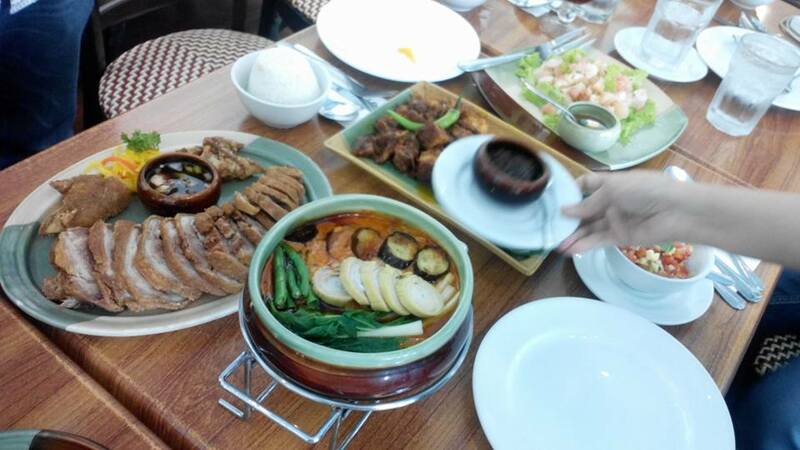 So when looking for a restaurant to satisfy your cravings for Filipino fare, pick Sérye. I recommend that you try out Classic Kare-Kare, Boneless Crispy Pata, and Binagoongang Lechon Kawali. 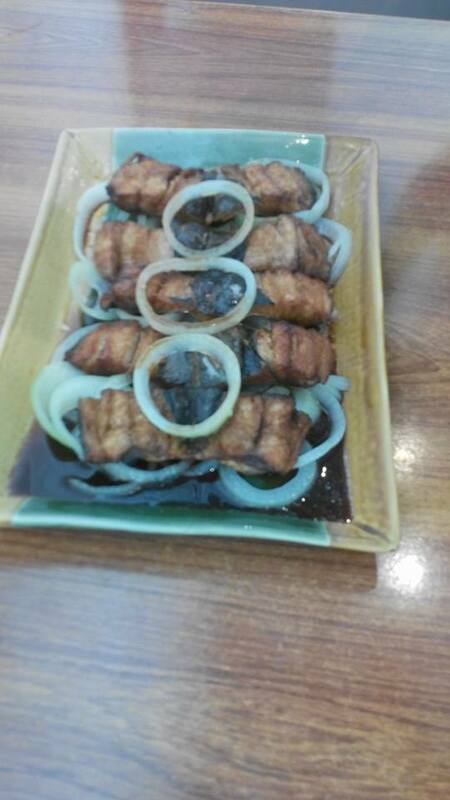 You will love the comfort food they serve from the simplier Pinoy dishes to the more complicated ones. 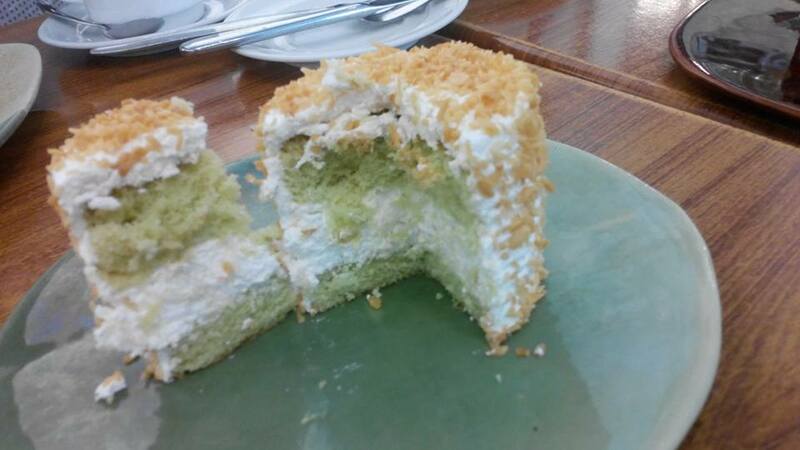 Top off with a serving of Macapuno Pandan Cake. And by the way, do check out their QC Memorial Circle branch if you're headed up north of Manila.